The Teskey Brothers Make Big Waves & Sign World Deal With Glassnote Records. The frontman sits down for a chat, plays some album cuts and enjoys a beer or two. April 27, 2018 | Josh Teskey, of the Teskey Brothers, possesses one of those voices you just can't shake. "Everyday is pain," he weeps, immediately situating his heart on his sleeve in full sorrowful glory. "Pain and Misery" is caked in the kind of raw, gravelly, completely visceral emotion that worms its way under your skin. 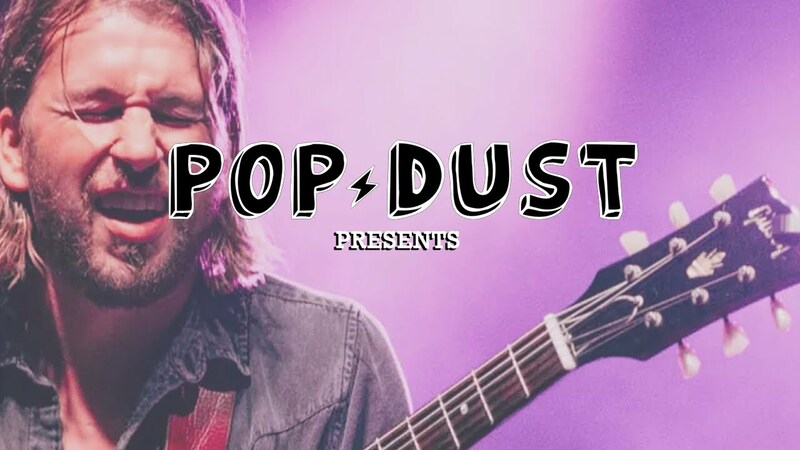 Stepping out of his musical exterior like a python, Teskey stopped by our office for a hearty chuckle, tasty beer, and good tuneage as part of the ongoing series Popdust Presents. Prompted by our esteemed Editor-in-Chief Dan Victor, Teskey opened up about his early days, why he wanted to go next-level, honing song-craft, and other hot topics. Check out the interview above. "Pain and Misery" is only scratching the surface of the band's debut album, Half Mile Harvest, which is flavored to perfection with a classic Motown spirit but resoundingly modern. "Crying Shame" growls from the inside out, whereas "Louisa" is a front-porch blues sessions brimming with piercing hand claps and a muddy vocal line. Elsewhere, "Til' the Sky Turns Black" peers into the soul with glassy eyes and a concrete touch, and "Honeymoon," the record's final bow, is as ripe and hazy as the harvest moon, grilled with harmonica and the electric guitar's razor bite. In knowing their roots, of shifting through aged and tattered records of such greats as Sam Cooke and Otis Redding, the music speaks for itself. It's earth-splitting in execution, and you'd think The Teskey Brothers were legends themselves already. Josh and Sam Teskey spent many of their early days busking on the streets, especially the local Melbourne marketplace, but that kind of dirty, cut-your-teeth experience was a necessary vehicle to fuel their passion even further. 2008 brought two more band members (Brendon Love and Liam Gough) and a dedication to brave the bad times as much as the good. Upon its Australian release, Half Mile Harvest climbed to the Top 20 of the ARIA chart and ultimately the top slot on the ARIA Independent Album chart. They went on to headline an impressive three-string of shows at the Corner Hotel and mount successful showcases in London, New York City, and Los Angeles. The starlight is only getting bright for them, and we're at the ground level. Earlier this week, it was announced the band has signed a lucrative worldwide deal with Ivy League Records (under the Mushroom Group umbrella) and Glassnote Records (for the stateside of things). In a press statement, band member Brendon Love shared his excitement, "The Teskeys are extremely happy to be joining the Ivy League family. They are a forward-thinking and enthusiastic bunch of music nerds and we couldn't imagine a better home for our band. Having been together for 12 years and never worked with a label or publisher before, it was super important to us that there was an understanding of our approach to music. Ivy League totally gets it."